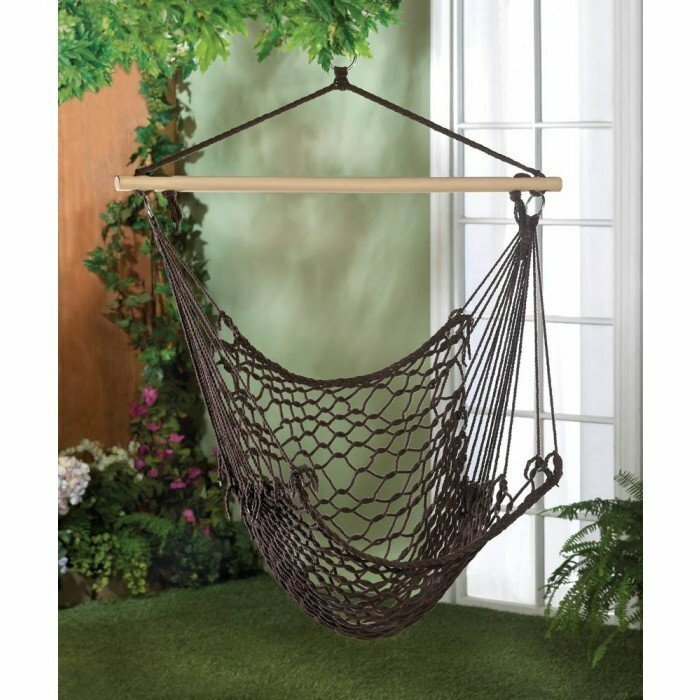 ESPRESSO HAMMOCK CHAIR home decor, jewelry, decor, decorations, electronics, fountains, floor mats, art glass, vases, garden essentials, fireplace screens. Curl up with a good book, a glass of lemonade, and enjoy the summer breeze! This cool woven hammock chair features espresso-hued rope and a large wooden dowel that will provide you hours of outdoor relaxation. Hang it from your porch or favorite backyard tree! Material(s): WOOD METAL COTTON RECYCLED COTTON. Weight 2.8 pounds. Dimensions 39.2" x 0" x 48".